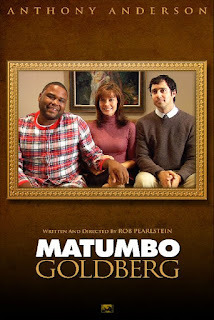 In between picketing during the big Writer's Strike, Rob Pearlstein (C'95, DP) wrote*, directed and acted in a new, very funny short MATUMBO GOLDBERG (Rob is featured far right in movie poster). Along with the film's producer and fellow classmate Loren Mendell (C'95, Class President, Friars) they produced this short which already has Hollywood buzzing about a potential series and feature. Rob's path to becoming a Hollywood creative force went from starting as a copywriter at an ad agency to becoming a finalist in a HIGHLY reputable contest while Loren's path had him starting at a big Hollywood talent agency and going onto film school. Then in 2006 they came together to work on a short that was nominated OSCAR (featuring Kevin Pollak and LOST's "Hurley")! March Contest: Get Lucky With Ben!